New construction of a two-phase development combining an integrated healthcare clinic, community wellness center, and 52 affordable apartment units serving families, veterans, and people with serious mental illness. Garlington Clinic and Garlington Place bring state-of-the-art thinking to the delivery of integrated affordable housing, health care, and wellness services. Sponsored by Cascadia Behavioral Healthcare, the two-phase project houses an integrated healthcare clinic, a community wellness center, and 52 affordable apartment units. Twenty units are reserved for veterans and people experiencing serious mental illness. The remaining units preference low-income families affected by or at risk of displacement. 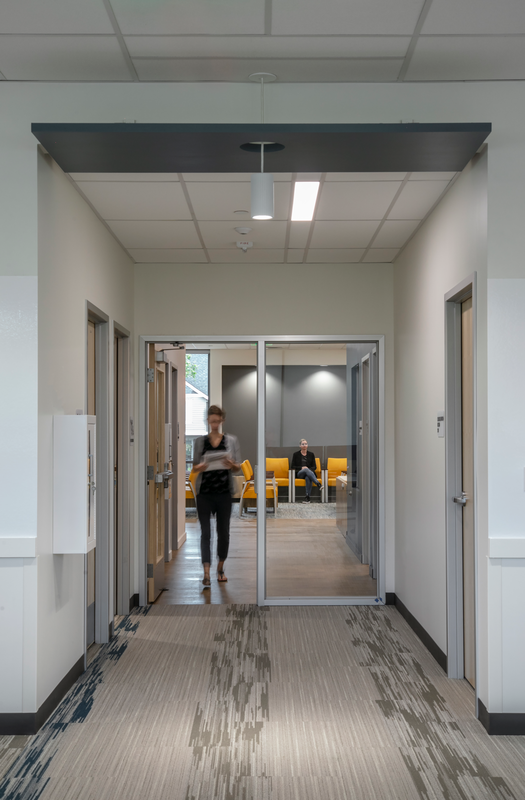 Replacing Cascadia’s existing behavioral healthcare facility at the same site on NE Martin Luther King Jr Blvd., the new Garlington Clinic provides coordinated primary and behavioral healthcare for people diagnosed with mental illness or facing addiction challenges. In addition to Cascadia’s own behavioral healthcare providers, the clinic is staffed with onsite primary care physicians through a planned partnership with a federally qualified health center. The wellness center provides classes, exercise facilities, a food pantry, and other free and low-cost resources for the whole community. Finance: The affordable housing and health-care components of this two-phase project draw from different financing sources. HDC helped Cascadia to plan and structure financing for both components, each with a different ownership structure and development timeline. 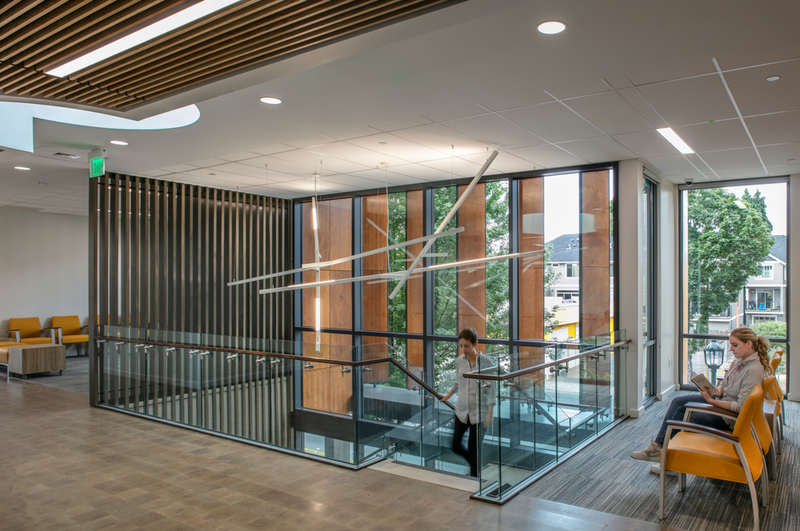 Among HDC’s key contributions were modeling the use of new markets tax credits, a critical source of funding for the clinic, and marketing the tax credits to investors. 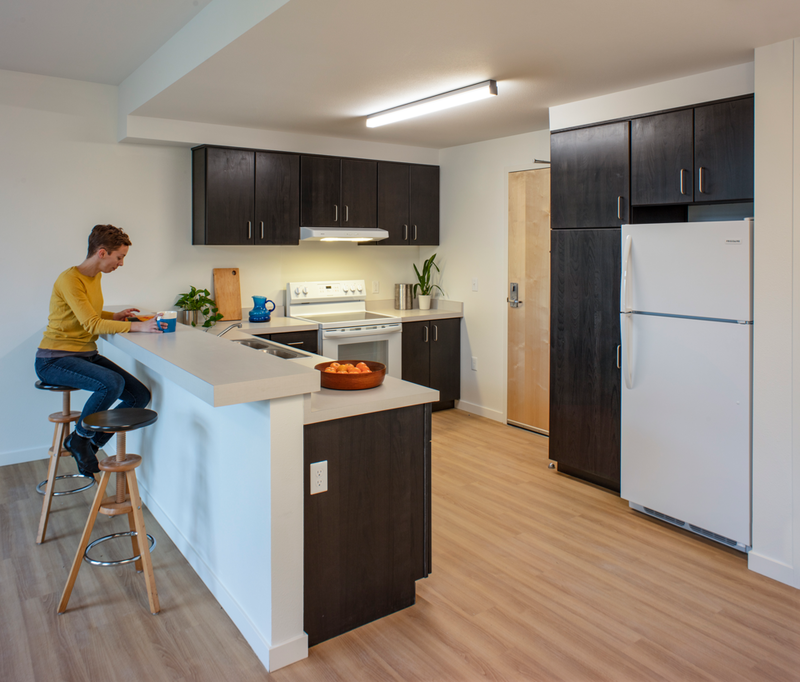 Design and Construction: HDC helped Cascadia to achieve its vision of a development that responds not only to the needs of residents and clients, but also to the needs of neighbors. Area residents voiced a preference for a low-scaled development, and HDC worked with Cascadia and Scott Edwards Architecture to create a welcoming campus. Two street-friendly buildings, the tallest at four stories, are connected by gardens, public spaces, and active outdoor spaces. Both buildings are highly energy-efficient, certified Earth Advantage Platinum (residential) and Gold (clinic).